Our Men's 6 oz. 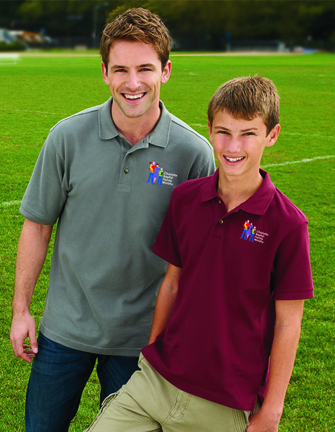 100% ringspun cotton polos offer the best value. Available in Men's and Ladies' sizes in colors that are ideal for any customer facing professions. See #AM200W for the Ladies' sizes. There is a $2.00 surcharge per polo for 2X-3X, and a $5.00 surcharge per polo for 4X-6X. Please add the applicable surcharge to your order. For logos/text: One free tape set-up for up to 10,000 stitches using up to 7 colors. Standard embroidery area is 4" x 4" on chest. For larger logos, call for a quote. Men's & Ladies' AM200 & AM200W can be combined for higher quantity pricing. 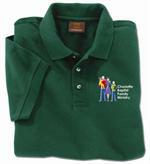 There is a $7.00 surcharge for each polo shirt ordered in size 4X-6X. Please add the qty of 4X-6X polos you are ordering below.